All of the lions, tigers and bears along with the rest of the crew of animals at the Oakland zoo are about to experience a major expansion. After 13 long years of planning, community meetings, replanning and renegotiating the Oakland Zoo received its final approval to expand the zoo by 54 acres. Part of this expansion will include a 17,000 square-foot veterinary hospital, an aerial gondola, an overnight camping zone and a brand-new California trails exhibit. This exhibit is going to prominently feature all those critters who call California their home including condors, mountain lions and of course the grizzly bear. The project plans on kicking off next month at a big groundbreaking ceremony for the animal hospital. If all goes according to schedule the expansion should be complete by 2015. Not only will this expansion be a welcome treat for the animals but it’s also going to mean a lot more with jobs instruction for local workers. With a job this big there are all kinds of contracts to be bid on. Along with all the labor, material and equipment costs there will be an issue concerning the waste removal. That’s going to be a pretty hefty contract when you consider all the land that has to be moved around to make room for all those grizzly bears! It’s inconceivable for any construction site not to generate huge mounds of waste. We’re not just talking waste as in materials that aren’t being used but actually all the garbage that is created. These are all the scraps of wood, pieces of rebar, hunks of drywall and other debris that finds its way onto the trash heap at and of every day on a construction site. This is trash that needs to be cleared out almost on a daily basis. As any construction worker will tell you, the best environment to start working on is a clean one. 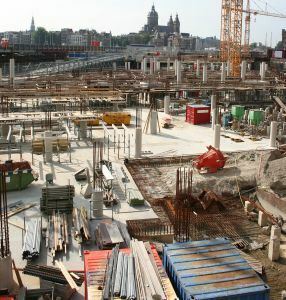 With all the drilling, sawing and plasterwork that happens on a construction site that environment can get very messy. That’s why the end of the day time is dedicated by the workers to clean up this space and toss all that trash onto the junk heap. When they come in next morning still be able to get right to work without having to navigate around all that trash. In a perfect world waste removal team why the show up late at night or early in the morning to get rid of that trash. Iyou have your own smaller remodel job you’ll still need to consider what you’re going to do with all your trash. You can designate any area of your backyard to pile up all the debris but this is certainly not something you want to keep around. Even if you’re not going to have a daily pick up of the trash it makes sense to schedule a pickup of your construction waste at the end of the week with an appointment from a professional team of junk haulers like Junk King Alameda. Take a tip from the pros and make sure your garbage is taken away the right way. This entry was posted in Alameda Hauling, construction waste removal, oakland junk removal, Oakland Recycling and tagged construction waste removal, junk hauling oakland, oakland construction waste, Oakland Trash Disposal, Oakland zoo on July 29, 2011 by Junk King. Last updated August 4, 2017 .